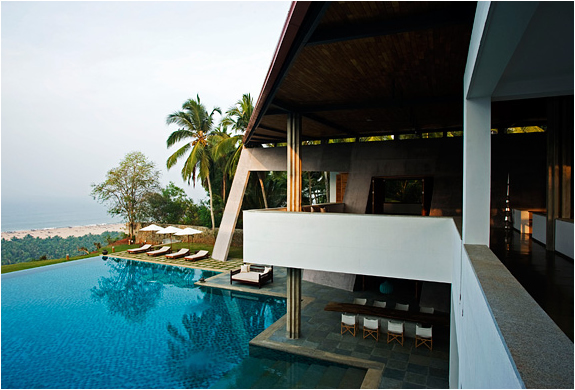 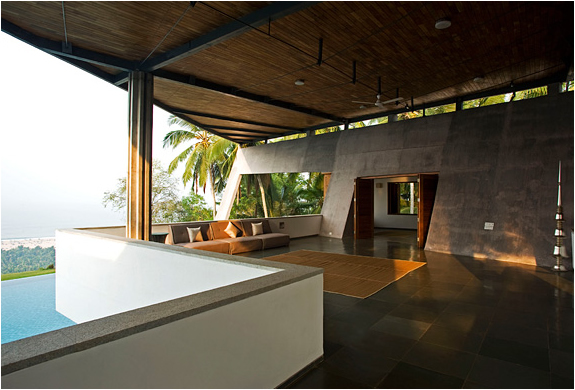 The Cliff House is located in Chowara, a fishing village 30 minutes from Thiruvananthapuram, Kerala in southern India. 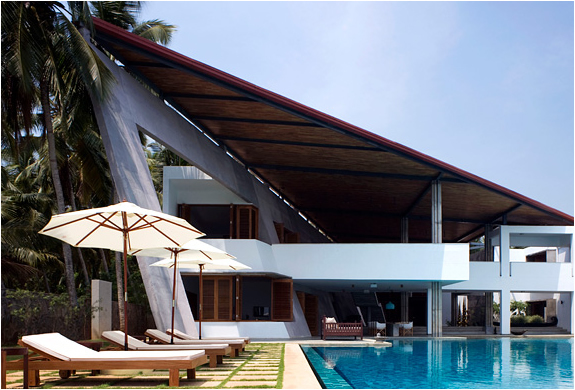 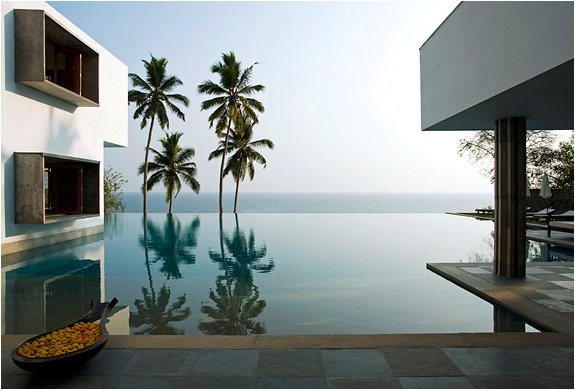 Designed by Khosla Associates the house features a 180 degree panoramic view of the sea with an inviting pool and terrace, but its main feature has to be sail shape roof. 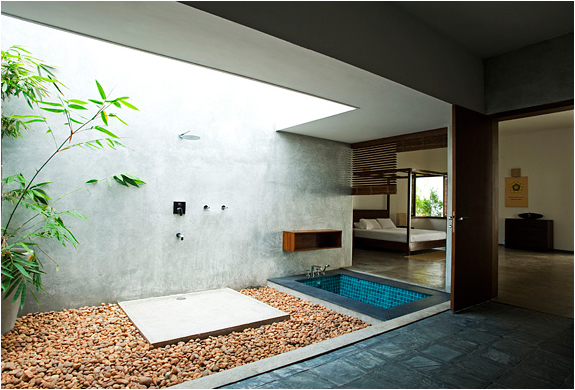 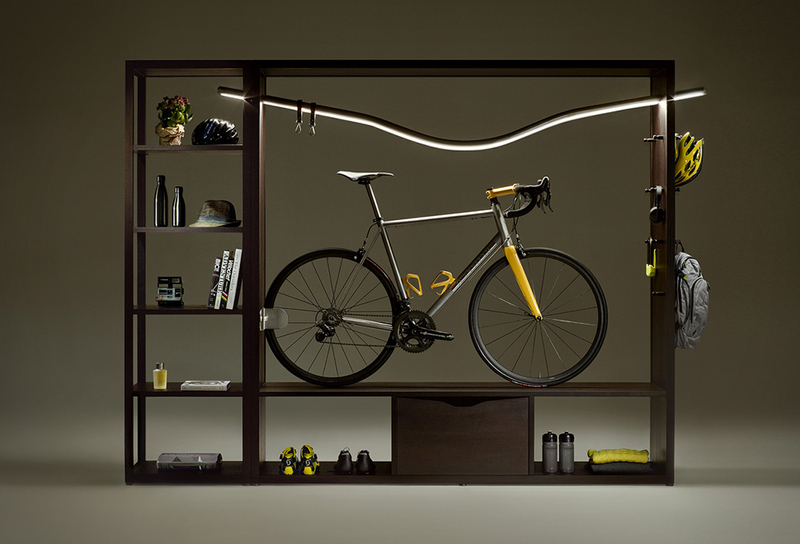 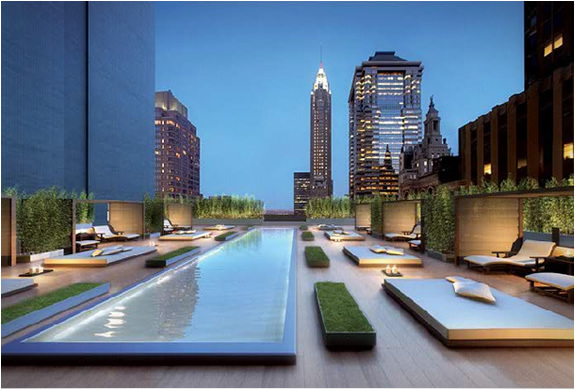 The open air bathroom in the main bedroom is also worth checking out in the detail of this post.